Volunteers are the heart, soul and muscle of Habitat for Humanity. Our houses are built and remodeled largely with volunteer labor, enabling Habitat homeowner families to purchase decent, quality housing at an affordable price. 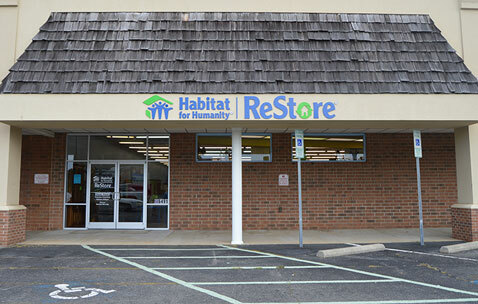 Volunteers play a crucial role in staffing our ReStores, which sell donated items and therefore provide revenue to support Habitat’s work. Our Habitat Young Professionals and Habitat Youth Ambassadors provide opportunities for youth and young adults to raise money for, and build, a Habitat house. Refer to the menus below for information about year-round opportunities for individuals. You can also view a list of upcoming volunteer needs on our volunteer sign-up site. If you are interested in bringing a group of volunteers, please contact Debbie Cesta at 336.306.8419 to find a time when your group can volunteer. When most people think of volunteering for Habitat, they think of hammering nails and raising walls on a construction site. Building or remodeling a home alongside other volunteers – and even a future Habitat homeowner — is an impactful and sometimes life-changing experience. It’s also a great opportunity to learn skills that you can apply around your own home! Construction volunteers must be 16 and older. No construction experience is necessary. Constructions times are generally 8 a.m. to 3 p.m., Tuesdays through Thursdays and on Saturdays. We particularly need volunteers on weekdays! Please go to Volunteer Hub to sign up. If you wish to bring a group, please contact Debbie Cesta to find a time when your group can volunteer. Cornerstone members develop a kinship with a purpose as they become regular volunteers helping advance Habitat’s mission. These volunteer positions are important to our success. For more information about the opportunities for more skilled volunteers, please e-mail Joe Brown, or call 336.765.8854, ext. 103. If you are required to complete community service hours mandated by the court system, you must bring a court-ordered placement sheet with you. If your attorney recommends that you complete community service prior to your court date, you must bring a letter from your attorney stating your charge. We do not accept charges for theft of any kind or violent crime. Contact Debbie Cesta, Corporate and Volunteer Engagement Manager, at 336.306.8419 prior to starting your hours. We could not keep the ReStore open without our amazing volunteers. 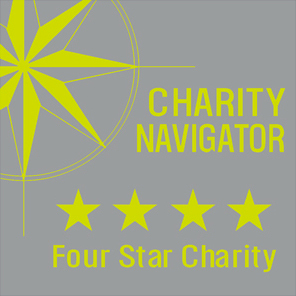 Volunteers take on a wide range of responsibilities and are vital to keep the ReStore operating as a successful retail outlet. 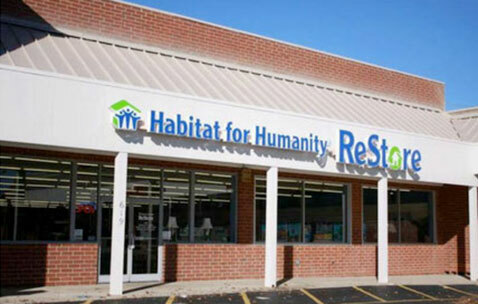 The ReStore welcomes volunteers ages 16+ as well as youths ages 14-15 when accompanied by a parent or guardian. 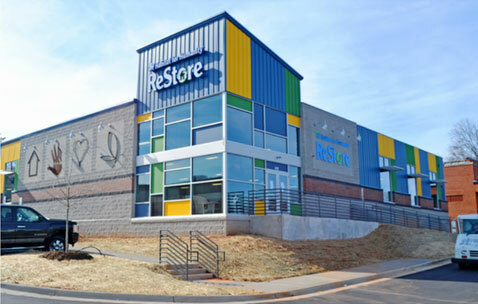 All prospective ReStore volunteers are required to attend an orientation before serving with us. Orientations are held most Tuesdays at 5:30 p.m. and Thursdays at 9:30 a.m. in the Habitat affiliate office, located at 1023 W. 14th Street in Winston-Salem, at the corner of University Parkway and 14th Street. Please register for any upcoming volunteer shifts and orientations here. To learn more about volunteering with our ReStores, contact Debbie Cesta at debbie.cesta@haibtatforsyth.org or 336.306.8419. 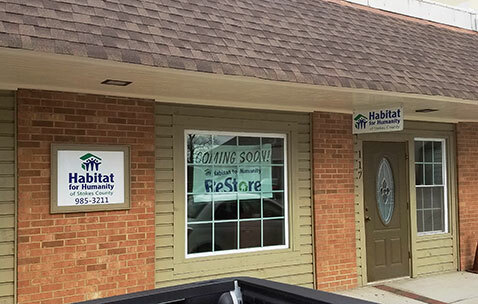 To learn more about volunteering with our ReStores, contact Debbie Cesta at debbie.cesta@habitatforsyth.org or 336.306.8419. Each year, Habitat Forsyth hosts numerous teams of college and high school students and youth groups through Habitat International’s Collegiate Challenge Program. The program provides students with an alternative break experience: a weeklong trip to a Habitat affiliate, usually in another state, to work on building or remodeling houses. Habitat Forsyth is one of Collegiate Challenge’s most popular affiliates, chosen by groups as far away as Iowa and Canada. The warm welcome our students receive from the community as well as the convenience of our Jimmy Johnson Volunteer Lodge (which houses up to 40 students at a time) make Forsyth County a favorite destination. If you would like to provide a meal – home-cooked or otherwise – for visiting students, OR if you are a student or advisor interested in visiting Habitat Forsyth through Collegiate Challenge, contact Debbie Cesta at 336.306.8258.